Displaying a fine violet pink hue Shop LC's exclusive African lilac quartz gemstone triplets radiate with the same romantic blush found in pricy and rare kunzite gemstones but at an affordable and accessible price. 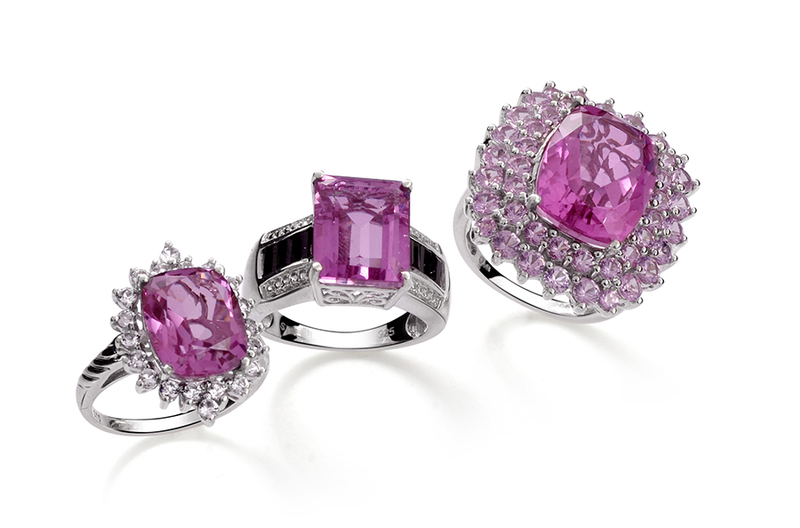 Experience the vibrant clarity of quartz combined with the delicate lilac nuances traditionally found in kunzite. 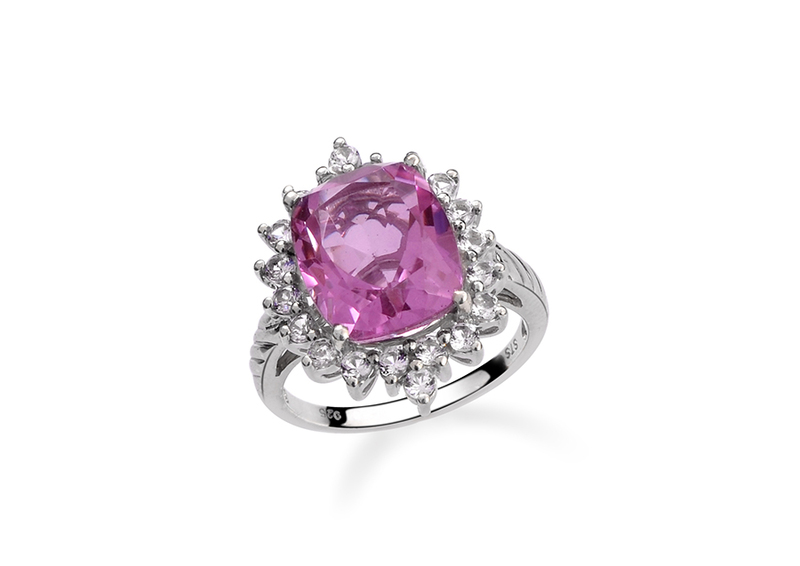 Kunzite is a beloved gemstone known for its soothing and serene soft lilac color. However this pricy gemstone is also known for its perfect cleavage which makes it extremely difficult for jewelers to cut. 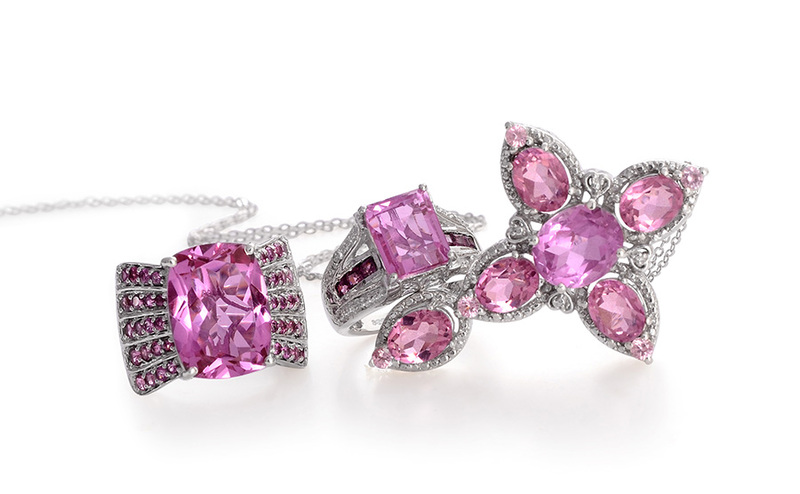 Kunzite's propensity to fade in the sunlight also makes it a difficult gem selection for many jewelry pieces. Shop LC has worked with gemstone experts to develop a stone that combines the beauty of kunzite with the strength and availability of quartz. African lilac quartz is exclusive to Shop LC and we are proud to bring our customers this elegant and stylish gemstone at an accessible low price. African lilac quartz undergoes a unique coloring process applied to high quality clear quartz crystals. After color treatments the quartz is converted into a triplet a process that secures the colored stone under protective clear and natural crystal. This new three-layered stone is more resistant to impact and scratching than the original stone. Because of this highly involved process few retailers can afford to offer this unique variation of quartz. African Lilac quartz is fine transparent quartz that sparkles brilliantly as light passes through the stone uninterrupted. This stunning gemstone is best viewed in daylight especially during the golden hour that period shortly after sunrise or just before sunset. • This stone is a strong healing stone that is known to attract love and encourage a calm and centered state of mind. Its soft violet-pink is believed to reduce stress and keep anxiety at bay. • The sweet lilac color of this gemstone is thought to bestow a feeling of inner peace and promotes a joyful nature. It is associated with peace love and compassion. 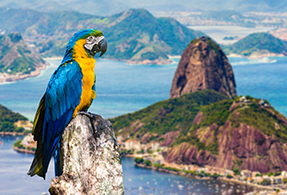 While jewelry quality quartz can be found in Africa Madagascar India and the United States the best quality and most brilliant natural clear quartz crystals are found in Brazil. Shop LC sources clear quartz crystals gemstones from Brazilian mines and we have taken our stones through a unique coloring process to display this highly desired soft lilac hue. 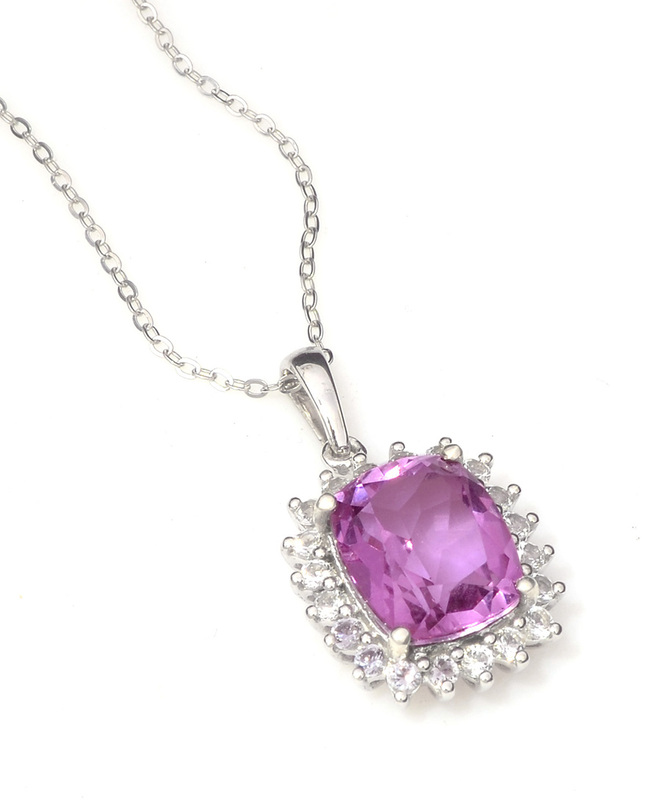 Quartz comes in a full spectrum of colors but African lilac quartz is a transparent delicate violet-pink similar to the color of pink kunzite.